work together to inspire an inclusive fellowship in which people of all ages and backgrounds are welcomed and enabled to grow in faith and wholeness of life. The church is run by friendly volunteers. Pictures of these key people can be found on our 'Who's who' page. co-operating with the vicar in promoting the mission of the Church in its parish. the care and maintenance of the church fabric and its contents. If you would be interested in joining the PCC please contact us via the Contact Us page. 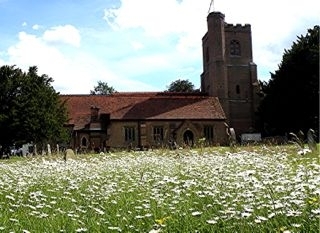 A church has been on this site for over 600 years and therefore is steeped in history. Please see 'Our 700 Years of history' page. We have a small church choir that sings traditional 4 part harmony church music. A particular focus for the choir are the Christmas services. New choir members are welcomed throughout the year no matter what singing abilities they have. To find out more about the choir, please see our 'Church choir' page. We have 5 bells that have recently been re-hung. They are rung every Sunday and for other special services. New bell ringers of all abilities (including those with no experience but would like to try) are very welcomed. To find out more about our bells and ringing them please visit our 'Bells and ringing' page.